And now his name is buzzing around everywhere. The dj rocks all dancefloors of Holland’s most renowned clubs and dance events, like Dance Valley and also outside Holland his name is rapidly gaining. His unique blend of house, tech-house and minimal and his an excellent choice of records gets it going on everywhere. Jesse’s latest release Nothing You Can Do was released on FR2 Records and got massive support from DJ’s such as Robbie Rivera, Bad Boy Bill, Fedde le Grand, Andy Cato (Groove Armada), Kid Massive and many more. It also made it to the Sensation White Belgium album. Another release, Miki , was released august 2008 on the infamous Abzolut/Spinnin. It includes some nice minimal house beats mixed up with a catchy guitar line and a big synth riff. It got support and plays from Pete Tong , Cube Guys, Tiesto, Bob Sinclar, Kaiserdisco, Judge Jules and Eddie Halliwell. 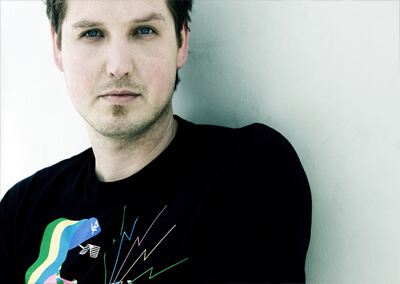 Earlier he released records such as Amplified To The Max/Exzit , that saw the light of day on Deal Records/Armada end October 2007 and got the likes of artists such as Laidback Luke, Aston Shuffle and Don Diablo. In December 2007 his release Here It Comes (Groove Fanatics) hit the stores, and gained enormous reactions and plays from renowned dj’s. His newest release Peptalk is out now on Audiodamage and also found it’s way to the maps of many DJ’s. Jesse also made the anthem for the SeeMe festival/conference in Sofia, Bulgaria. Both this year, with Dutch vocalist Nathalie, known from Idols, and last year with vocalist ZoëXenia. That one was released in march 2008 and with this track he got his first top 10 hit, in Bulgaria. December 2008 the track was chosen by fitness phenomenon Les Mills for their international work-out Body Jam 47 and it also is featured on the first Dance4Life album. His first release Get It Done created a huge buzz around the world and British dance magazine DJMag rated the track 4 out of 5 stars. 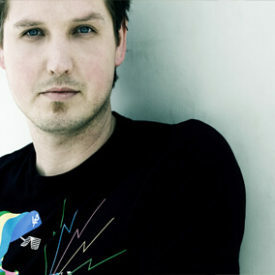 Jesse did a unique releaseparty in Second Life and was therefore the first Dutch DJ in Second Life . He also was nominated Best Talent 2006. Lately he’s doing lots of remixes, amongst others for Erykah Badu, Kid Massive, George Acosta, Kaskade, Treitl Hammond, Tom Hades and many more are about to follow.Jesse also is one of the main ambassadors for Dance4Life, an globaly operating organisation that makes people aware of the problems around aids and hiv. For me it is very important to contribute to Dance4Life , he says. The thing I like with Dance4Life, is that it’s not limited to just inserting a cheque. Dance4Life knows the youth of today is the future of tomorrow. That’s why it’s good to really involve them. Together we can make this very important difference. Besides this Jesse has his own, very successful radioshow: Jesse Voorn Radio, broadcasted right now in several countries and he also makes the Dance4Life Radio show, with exclusives guests and co-hosted with Wessel van Eeden from Dance4Life. Jesse shared the decks with dj’s such as Laidback Luke, George Acosta, Tiësto, Dr. Lektroluv, Derrick May, Fedde le Grand, James Zabiela, Marco V, Motor and many more and could be found on parties in countries such as Russia, Ukraine, Dubai, USA, Norway, Sweden, Greece, UK, Belgium, Estonia. WMC in Miami and many more.